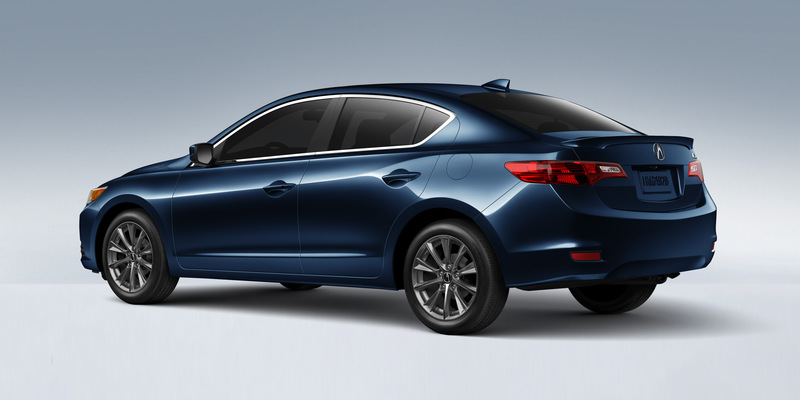 The 2014 Acura ILX is now available for purchase! Acura considers the ILX a “gateway luxury” vehicle, meaning it’s outfitted for comfort, efficiency, and beauty while also being affordable. For all the details on the 2014 ILX scroll down to read the full press release, or drop by and see us at 1899 Highway 99 N, in Ashland. The 2014 ILX Hybrid goes on sale today with a manufacturer’s suggested retail price (MSRP1) starting at $28,900. The ILX is the only luxury model on the top ten list of Generation Y car shoppers according to J.D. Power and Associates and the ILX Hybrid offers those shoppers an EPA fuel economy rating of 39 mpg city2. A 1.5-liter four-cylinder engine and an Integrated Motor Assist® electric motor, paired with a Continuously Variable Transmission (CVT), powers the luxury sedan. The comfortable and well-appointed ILX Hybrid includes numerous luxury standard features including a Keyless Access System with smart entry and push-button start, Pandora® interface and SMS text message function for easy connectivity, Bluetooth® HandsFreeLink®, a power moonroof and aluminium wheels. The Technology Package adds the ELS Surround® audio system, AcuraLink® Satellite Communication System, Acura Navigation System with Voice Recognition™, AcuraLink Real-Time Traffic with Traffic Rerouting™, AcuraLink Real-Time Weather™ with radar image maps and HomeLink®. View, build and price a 2014 Acura ILX Hybrid at www.acura.com/ModelLanding.aspx?model=ILX. For More Information Consumer information is available at www.acura.com/ModelLanding.aspx?model=ILX. To join the Acura community on Facebook, visit www.facebook.com/Acura. Additional media information including detailed pricing features and high-resolution photography of the 2014 Acura ILX Hybrid is available at hondanews.com/channels/acura-automobiles-ilx. 1 MSRP excluding tax, license, registration, vehicle options and destination charge of $895.00. Dealer prices may vary. 2 Based on 2014 EPA mileage ratings. Use for comparison purposes only. Your actual mileage will vary depending on how you drive and maintain your vehicle. « Join Us in Telling Breast Cancer to ‘Hit the Road’!